Creating an HTML email is a trendy yet important aspect of businesses nowadays, and requires great level of creativity for better results. The primary goal of these templates is to communicate with your existing clients and even to make new clients, by converting the first time user into a proactive visitor. Actually with the advancement of technology, customers are finding modern techniques to avail products and services, and thus businesses are also following the same to reach them. In the online era, promotion is the best way to gain visibility over the web, and this gave birth to email marketing and creation of innovative email templates. This entire life cycle depends on how it is reaching to your target audience. If it is as per their taste, they will certainly connect to you and stay with you for long. But, if this conversation seems more like an advertisement to your users, which is unnecessarily wasting their inbox’s storage, they will certainly put it into trash, or simply ignore it. There are few of the basic points which if considered can make an email template worth engaging, whether it is a fresh template or you are doing PSD to email templates conversion. Make fine use of tables. This is a very important concept of HTML, and smart designers use it beautifully to deliver a flawless appearance to any design. The main reason of adopting them is the clarity and readability they offer to the readers. No matter, on which screen size they are viewing, they will get a neat and decent view. Tables provide the basic structure, along with columns and grids which help a developer to layout an HTML email. Make optimum use of CSS. CSS is indispensable for HTML mails, but excessive and disorganized use can make it clumsy. Let it handle the presentation of body fonts, headers, and simple alignment and spacing. The basic strategy is to use it only for formatting the content, like basic borders and color effects, but do not rely too much on it. Else, you are inviting trouble on your own by unnecessarily making the design clumsy. Images must kept decent. Simplicity is the key for an HTML email. This is to ensure that no necessary element will remain suppressed because of the excessive use of any other element. Moreover, image is a requirement but not a restriction. So, use where you find it pretty. Call to action must be impressive so that it can serve its goal. Actually, it is an integral part for an effective email. If users are not finding it appealing or not reaching it the right way, your template will be more like a dumb terminal with no engagement. Here, the best advice is not to rely only on images. Use buttons as well for call to action which are more HTML friendly. This is because images are not always reliable. There may be a case that the browser at the user’s end may not work properly or image upload might take some time. In any such case, if the image is not visible, your purpose of call to action cannot be fulfilled. There is another aspect where few mail clients automatically block the loading of images, while some only prefer to read mails without any interest in image download. So, the perfect solution is to move to interactive buttons. Testing is last but not the least phase. 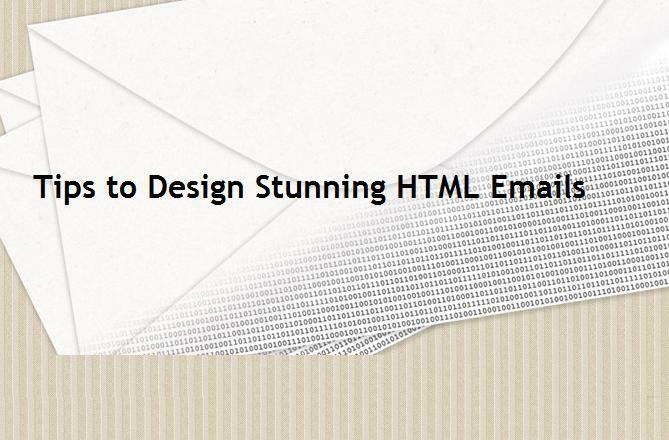 Mere Designing and coding of HTML email template does not complete your task, until the design is tested to ensure if it is working fine for different email programs. For this, an email group can be setup comprising all the test accounts. Here, a test mail can be saved in draft, which will be sent whenever needed to check for any kind of flaws. Emails are the best communication medium nowadays, which businesses are following for better reach to their customers and a wide promotion hand in hand. To create alluring email template designs becomes crucial as the online business and email marketing are expanding their arms. PSD to email templates conversion is another concept which is in demand to give more creativity and a completely different appearance to a website. Obviously, as the entire era is now dependent over the web, a charming appearance to the millions of available online users is must for every business. Likewise, being connected to the customers is equally important to gain traffic, whether it is through sending emails, or through social media like Facebook or Twitter. The gist of the above discussion is simply to focus more on making effective HTML templates. This is the need of businesses for better promotion, good reach and expanded results.